The skies are dark and the wind is picking up as qualifying is set to get underway. A light rain is scheduled for 8pm. Tanner English is quickest in group A qualifying. He turned a 14.728. Earl Pearson Jr is quickest in Group B and overall. He turned a 14.689. Tanner English and Jimmy Owens set the front row for the first heat race of the night. Green, English leads Owens off turn two. Lap 2, Owens looks inside English back into turn one. Side by side down the back and into three. Owens slides him in turn three. English fights back on the inside. He returns the slider back in turn three. English leads back in turn one. English opens a gap of two car lengths. English takes the win in the first heat race of the night! 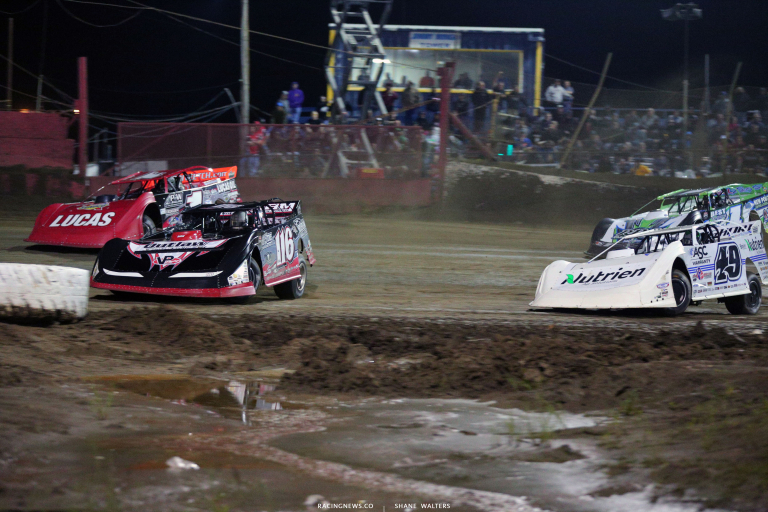 Scott Bloomquist and Jonathan Davenport trail the pace truck in heat two. 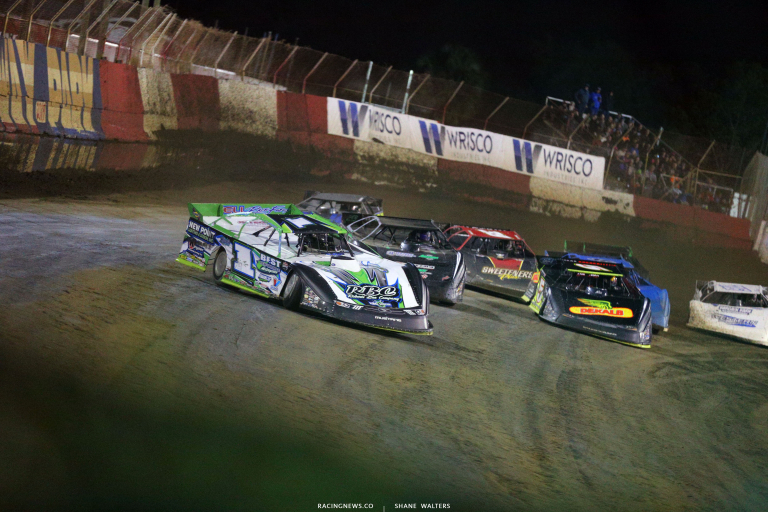 Green, Bloomquist leads on the bottom in turn one. He slides to the top on exit, clear. 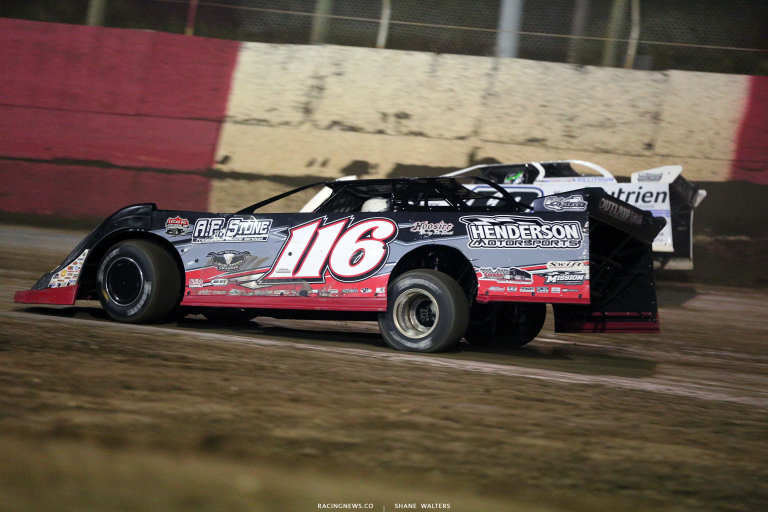 Davenport is on his bumper off turn two. 2 to go, Davenport is closing. 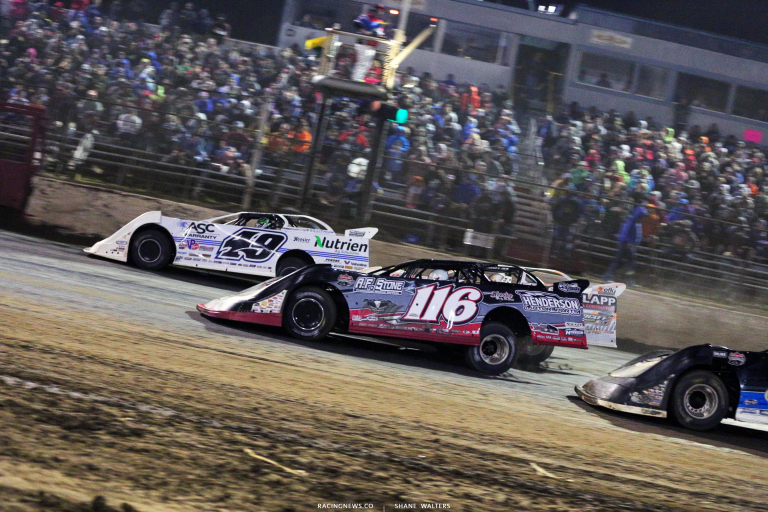 1 to go, Davenport looks inside in turn one. They run side by side through the corner and down the back. Davenport drives it deep on the bottom in turn three. He’s clear. Jonathan Davenport takes the win in heat two! 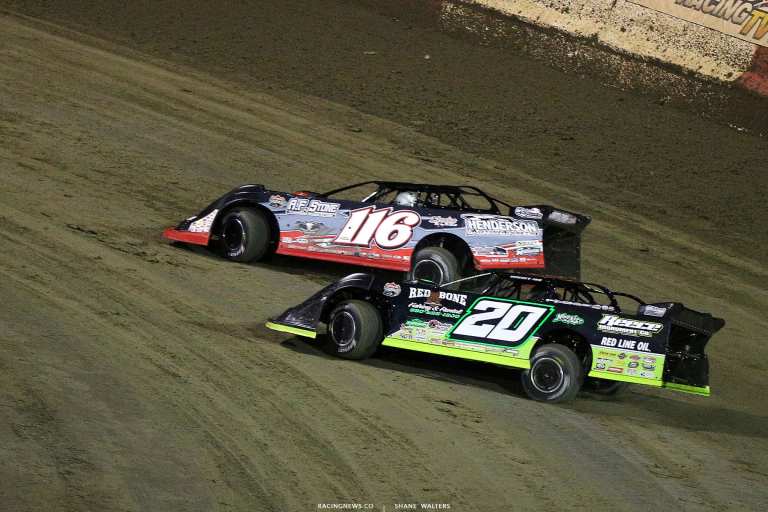 Earl Pearson Jr and Ryan King lead them to the flag in heat three. Green, King noses ahead on the outside in turn one. King completes the pass into turn three. Lap 2, Pearson looks to the inside. He slides him and clear off turn two. Pearson drives off. He takes the win in heat three! Tyler Erb and Mike Benedum set row one in the final heat race of the night. Green, Erb is clear before the flag stand, false start. Green, Erb is clear in turn one. Stormy Scott follows him through. Don O’Neal picks Scott for 2nd. He maintains the gap to the leader but can’t close. The main event is next. 50 laps around EBRP. The race winner will head home with a check for $12,000. Tanner English and Earl Pearson Jr trial the pace truck ahead of the main event. 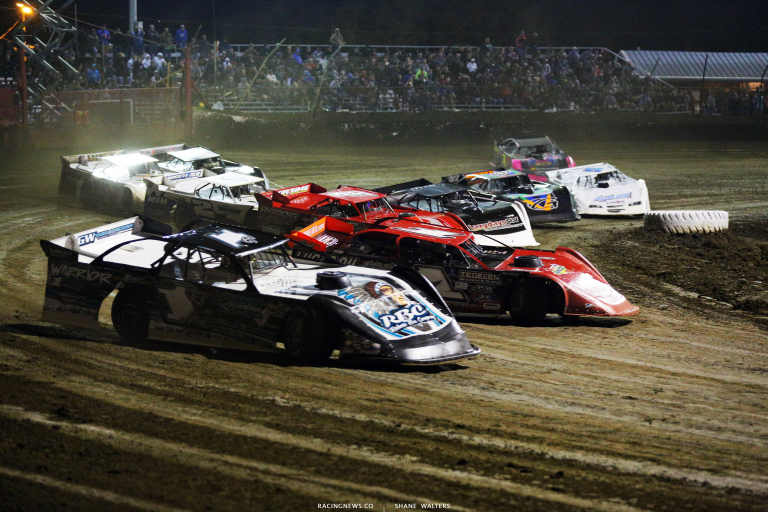 They form a four wide salute for the Florida dirt track racing crowd. Green flag, side by side into turn one. English leads off turn two. Don O’Neal gets crossed up in front of the field behind them. The field stacks up four wide but we remain green. Lap 5, Tyler Erb uses the top to take 2nd away from Pearson. Lap 10, English works lap traffic. Erb and Pearson have crossed five car lengths on him. The top three are bunched up. Erb runs the top but both lanes are clogged with lap cars. English takes them three wide into turn one, he’s clear. Pearson follows him through. Lap 16, Flinner is around in turn one. The caution is out. Green, English leads. Benedum is slow on track, caution. Richards started 13th, he’s up to 6th already. Green, English leads. Pearson takes 2nd. 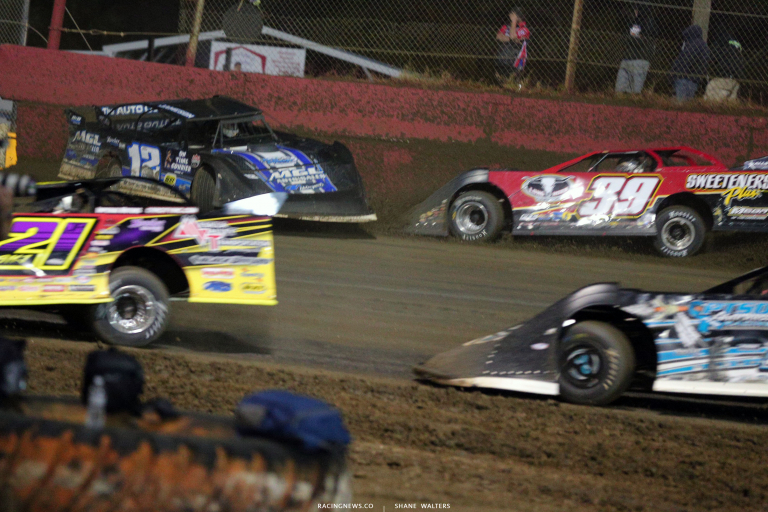 Lap 19, Jameson is sideways on the cushion in turn two. It’s like he lost a right rear and the car came around on him. McCreadie came into the scene with nowhere to go. He’s pinched between Jameson and the pit gate, heavy rear spoiler damage for him. Green, O’Neal cuts to the middle to make it three wide for 2nd. That doesn’t work as he can’t get the drive off. Lap 20, Richards slides Neal in turn one. He catches the cushion on drives away. Lap 25, English leads Pearson by 15 car lengths. Lap 31, Erb misses the cushion in turn one. Davenport drives under him to take 3rd. Lap 32, slow car in turn one, caution. 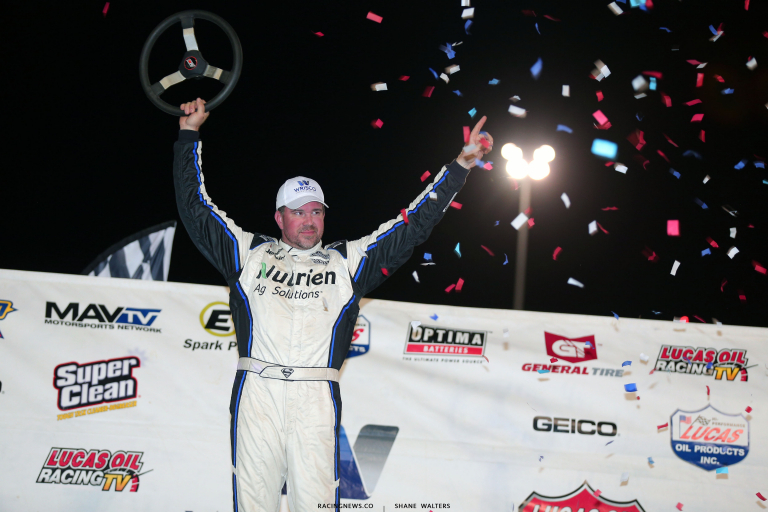 Green, Davenport grabs the cushion in turn one. He’s building momentum. English keeps hitting something in turn two that’s making him lose drive off the corner. Davenport heads to the bottom. English is right on his bumper. Davenport heads back to the top. English takes the lead back on the bottom. They run side by side for the lead. 5 laps later, they’re still side by side and trading the lead every lap! Lap 47, they remain side by side, lap traffic ahead. The split the lap car down the front stretch. The caution is out. Pearson has a flat. Davenport was the leader. Green, Davenport is clear by two car lengths into turn one. English drops a spot. Davenport is driving away! 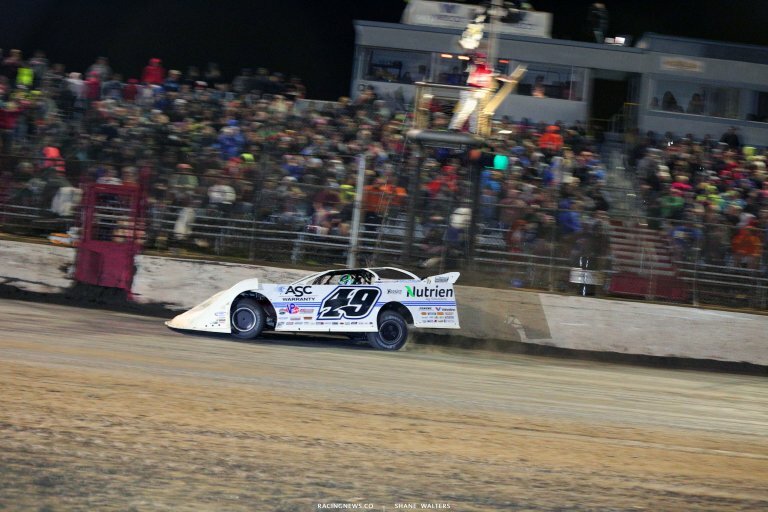 He takes the win at East Bay Raceway Park! 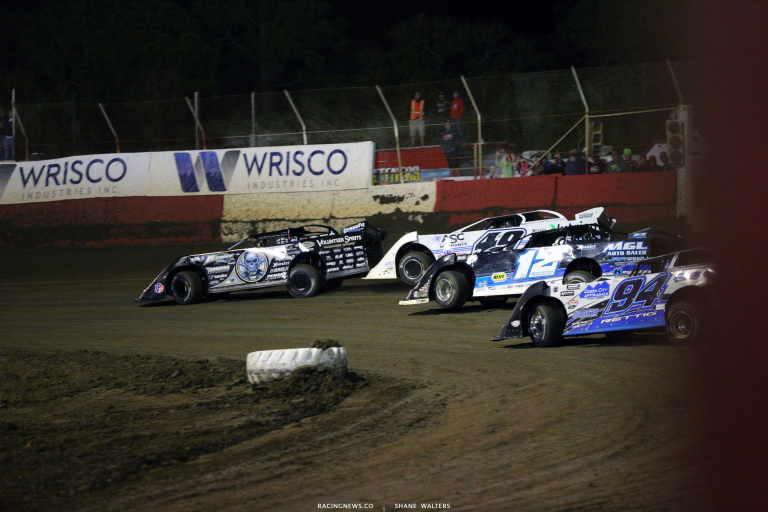 View full 2019 East Bay Raceway Park results from Tampa, Florida below.